The 2018 mid-term season is in full swing, and Missouri’s senate race is heating up. Republican attorney general Josh Hawley defeated Austin Petersen, among others, in the August 7th primary. Since then, he has been in a tight battle with incumbent Democrat Claire McCaskill. Recent polling suggests that the race is one of the closest in the country. Real Clear Politics lists a number of polls between the two, in which Hawley recently averages a slim 0.6 point lead. This, of course, is well within the standard margin of error, which is between two and five points. RCP also ranks Missouri’s race as one of only nine toss-ups in the country. Given this knowledge, it is unsurprising that Hawley is seeking out ways to distinguish himself from McCaskill. However, he is quite unwise in the means that he selects. This Monday, the attorney announced his intents to create a bill that, if passed, would effectively become the second largest minimum wage increase in United States history. Interestingly, Hawley is not directly calling for an increase in the federal minimum wage. Instead, he desires a “work credit” for all those making less than the median wage. Specifically, the credit would take their wages and bring them 50% closer to the median. The very nature of this plan is a disaster waiting to happen. As of May 2017, the median wage was $18.12 for hourly workers in America. In the same year, 80.4 million workers were earning an hourly wage, which amounts to a little bit under three-fifths of the total working population. Of these workers, only about 542,000 were earning the minimum wage itself. That was How Much Again? At the current $7.25 federal minimum wage, a worker would be compensated with an amount that brings them halfway to the median. In this case, they would receive a total paycheck of $12.69, where $7.25 comes from the employer, and the other $5.44 comes from the state. This means that in occupations without tips or other compensations, the lowest anyone could possibly legally receive is $12.69 for an hour of work. This is a 75% increase in the overall minimum wage. The only time that the government raised it by a greater percent was from $0.40 to $0.75 an hour (87.5%) in 1950, following the negative inflationary effects of high amounts of war spending. If the median wage was $18.12, then it would necessarily follow that 40.2 million workers earned less than that amount, or that amount exactly. For the sake of simplicity, let us assume that the proportion of workers at all levels, from $7.25 all the way up to the median of $18.12, is equal. Of course, this is not going to be exact and may vary in one in direction or the other. Yet, the failure to estimate here would yield a calculation that is hundreds of pages long and nearly impossible to finish, as it would then have to account for every specific worker in the United States. A simple average suggests that the typical wage worker in the bottom half makes about $12.69 an hour. Again, some variation may exist, but such variations are nearly impossible to find precisely. Hawley’s plan would take this wage and bring it halfway to the median. So, a bottom-half worker making an average of $12.69 would see a bonus of $2.71 per hour. This means that the worker’s total average earning will amount to $15.40 an hour: $12.69 from the employer, and $2.71 from the government. Now, $2.71 may seem like a pretty small number, and on the face, it is. However, this number is not a one-time payment and must go out, under Hawley’s plan, to every worker in the country making less than the median. Some, depending on where they fell, would get more of a bonus, and some would get less of a bonus. But just how much of a burden would this be on the American people, including the lower-class workers? Given a 40 hour work week, and 50 weeks worked per year, the numbers are staggering. In a single day, each of these workers would receive a check for, on average, $21.68 per day. In a week, the number increases to $108.40, and in a year the costs to pay a single worker would average out to $5,240. Multiplying the figure times the number of workers earning below the median wage reveals the sheer horror of the plan. With 40.2 million workers receiving an average of this amount, Hawley would create an additional $217.8 billion in expenditures. This is equal to an immediate 5.3% increase in federal spending and would add over $2 trillion in debt in two years. The program is over four times more expensive than Trump’s massive military spending increase in the 2018 budget. It also happens to be more than the military spending of China and Russia combined in 2017. Hawley risks serious economic problems if he continues to add more to the national debt. Though the Republican Party has long since abandoned fiscal conservatism with few exceptions, this idea threatens the very nature of fiscal conservatism as a whole. It is entirely possible that rather than increasing the national debt, Hawley may instead propose to increase taxes. If he balances the plan, then he would need to raise $217.8 billion dollars annually. However, the money does not come from thin air, though the U.S. Treasury may suggest otherwise. Currently, there are 138.1 million active workers in the United States. Most likely, they would bear the brunt of this fiscal burden. If divided equally, them each taxpayer, including the lower income earners, would owe $1,577 at the end of the year. So, of their great gift, the working poor would instantly pay 30% to the state. This, of course, is a bare minimum. Realistically, that rate would be much higher, because the government does not operate at 100% efficiency. To collect, manage, and distribute the money, they would need to collect, manage, and distribute even more. Government efficiency is low, and even at two-thirds efficiency, that rate increases to 40% from 30%. This tax rate on their bonus is actually much higher than what they already pay on their current incomes, which varies from 10 to 12 percent. May it be Even More Dangerous? Moreover, it is unclear whether Hawley supports this idea for salaried workers. In his op-ed, he merely states that all workers below the median should get a significant pay raise. If Hawley implemented the same thing for salaried workers, who generally earn more money per year, he would be facing an even greater economic crisis. As the debt counter reaches for the sky, more debt is not the answer. Unfortunately, this is not where Hawley’s ineptitude stops. Last week, he actually said that not only should below-median workers see pay raises, but every worker in America. Though he emphasized helping the poor, he did not exclude a single American worker. If he follows through on this, then the state will be handing checks to millionaires. It is immoral and coercive to tax the country to aid the poor. But it is morbidly wrong to tax the country to aid the rich. Though Hawley fails to state where this money will come from, the options are increased taxes or increased debt. The country can currently afford neither, as debt shoots past 75% of GDP. Hawley’s plan will take an already volatile economy and make it much worse. Rather than increasing taxes more, Hawley should be focusing on why the people are poor in the first place. The fact of the matter is, minimum wage workers are not taking home $7.25 an hour. Subject to a 12% tax rate if they work full time, that figure drops to $6.38. Hawley identifies the problem that the poor do not have enough money to live comfortably. Where he fails is the solution. When the government is taking money from the people, the solution is not to give the people money back, just to take another 30% of it. Let’s look at some of the numbers again, with the same $12.69. In the 12 percent income tax bracket, that average worker only takes home $11.26 while the government collects $1.43. They then see a bonus of $2.71 come their way in the form of Hawley’s plan. But, in the end, the government needs to take 30% of it to cover the costs. As a result, the worker hands over another $0.81 in income tax hikes. This, of course, does not factor in the efficiency, so there goes another $0.27. All in all, that’s $1.08 gone from the $2.71. And, they already lost $1.43 from the initial income tax. Altogether, the state would take $2.51 from the average worker per hour, just to give them back $2.71 an hour and call it an act of generosity. I hate to break it to you, Hawley, but a net of $0.20 per hour is not an act of generosity, nor is it even a significant figure. It is wrong to take money from individuals for any purpose. However, even when you ignore this moral principle, a scathing immorality remains. This program would, if it was lucky, give a tiny bit more than the government would need to take. The complex system of giving and taking only makes life harder for Americans on tax day and grocery day, too. Of all tax and wage ideas out there, this is perhaps one of the worst. It expands government massively, so much that they would likely need a new agency to administer the program. At the very least, it would swell the Department of Labor’s budget. In either sense, it is unfit to exist. Taking money from the people, wasting it, and giving about the same amount back is not unlike breaking your neighbor’s arm, and then paying his medical bills and sending him a batch of cookies while you caringly help him recover. No amount of alleged kindness can take away from this great wrongdoing. Thankfully for working-class America, there exist a number of much more successful plans to put more money in their pockets. But sadly for working-class America, few politicians, least of all Hawley, are talking about it. Ultimately, though, one point sticks out in particular as a method of surefire success. It is time to at once abolish the income tax on poor Americans. Just as a cigarette tax is a deterrent to smoking, an income tax is a deterrent to working. When those who struggle so much to get by cannot keep what they earn, it makes survival and comfort both that much harder. If lower-half Americans had that average of $1.43 an hour back in their pockets, they would have much more social mobility. With an extra $2,860 a year at a forty-hour week, the possibilities are endless. By freeing up that extra income, these individuals can begin to buy things that are lower on their priority lists but still very important. For example, there may no longer be a decision between hot water and a child’s birthday present, or healthy food and a good education. If a family budgets well and has all of these, maybe they can start to save, and truly move up the economic ladder for the first time. Of course, when taxes decrease, spending must also decrease in order to balance the program out. Unlike Hawley’s plan, however, this one has a real solution in order to create balance. By eliminating the income tax for those earning less than the median hourly wage, the government would lose $115 billion in annual revenue. But this is only slightly over half of the burden of Hawley’s plan. And, it gives working-class Americans an average of over seven times more additional money than Hawley’s ($1.43 vs $0.20). Hawley, in his editorial, does not in any way suggest how he plans to pay for the program. This plan, however, accompanies necessary and easy cuts in federal spending. In a 2017 report, Senator James Lankford asserted that the federal government wasted $473 billion that year. Surely, different members of the Senate would contest that some of the spendings were necessary, or at the very least, not known at the time to be an eventual waste. Waste spending will always exist. However, eliminating just 10% of this waste covers $47.3 billion of the total costs. Removing the unnecessary $52 billion increase in military spending yields $99.3 billion saved. Further, it is feasible to remove the $4.4 billion increase to the Department of Veterans’ Affairs and $2.8 billion increase to the Department of Homeland Security, as well as eliminate the TSA’s entire $7.6 billion dollar budget within the DHS’s remaining funds. This totals $114.1 billion, which is only $900 million short of the cost of removing the working class income tax. The remaining money, naturally, comes from the Internal Revenue Service. Considering they are handling almost 30% fewer clients, they surely could survive after a less than 10% budget cut. Taking away just $1 billion of their $11.5 billion in expenditures yields a net savings of $100 million. At the same time, working-class Americans will be saving money. By eliminating more waste, that positive figure can reach even higher. Without a doubt, Josh Hawley’s plan is destined to grow government while hurting the working class. Moreover, it may even give taxpayer money directly to the wealthy, based on one statement. At the very least, it cripples the working class and then acts as a gift. Eliminating the income tax for these Americans, however, keeps their money in their pockets. It boosts the economy, as they will have more disposable income. It also gives them seven times more than the work credit plan. Surely, American fiscal success rests on the backs of the workers, and it is time to stop crippling them and start allowing them to reach never-before-seen levels of success. When it comes to the minimum wage, few people truly understand the complexity of the mechanism. Many believe that raising it is a quick fix to poverty. However, minimum wage hikes only increase the cost of living, hurting the economy for both the rich and the poor. In 2014, Seattle signed a law that would increase the minimum wage there each year. By 2021, the wage will reach $15 per hour. While many support this law, libertarians are scratching their heads. Wages are an input of production, meaning that when a business produces a good or provides a service, part of its success is due to the employees and their necessary wages. When the cost of an input of production increases, the final price of the good or service must also increase. If all wages in a city increase, then all prices of goods and services will increase. Things will be no more affordable than they were before the minimum wage hike. Minimum wage increases also lead to significant job losses. As mentioned before, when wages increase, the final price of a good or service must also. In order to combat having to charge high prices for their products, businesses can fire employees and move to automated systems that make use of the latest technology and do not require much human input. 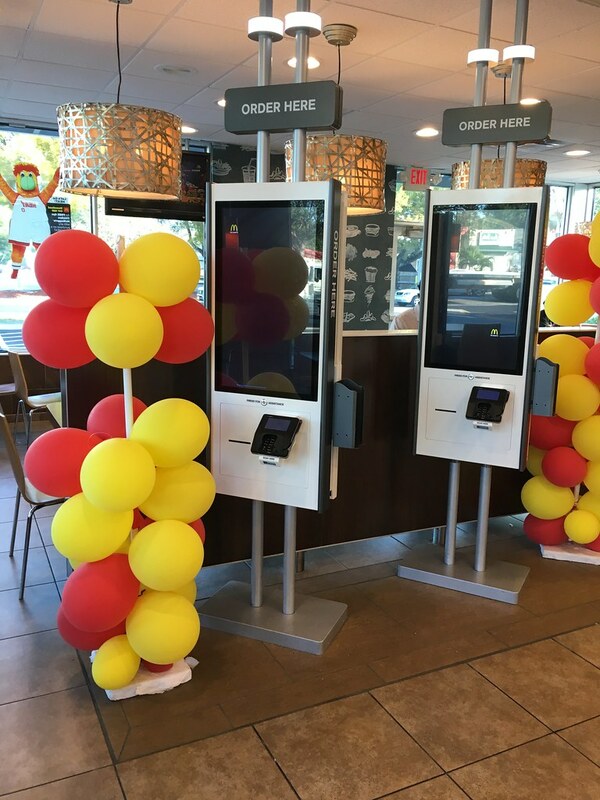 McDonald’s Restaurants recently started using automated kiosks in some stores to cut down on the amount of staff. This investment insulates McDonald’s from the fluctuations of the labor market and from the effects of minimum wage increases. The minimum wage hurts those whose skills are worth less than a mandated minimum. As they are not worth, say, $15 per hour, employers cannot hire them at all. Someone whose typing skills only earn them $5 per hour is unable to find work at all. But, if the minimum wage ends, he or she will be able to find an employer willing to hire them. While $5 per hour is nowhere near the wage required to live a comfortable life, it is a stepping stone to higher paying jobs in the future. The person given in the previous example can work at improving their typing skills until they find employers willing to pay incrementally more. In this way, people are able to climb the socio-economic hierarchy. Beyond just the minimum wage’s harm to the economy, it is also immoral, because it limits what terms two consenting adults can voluntarily negotiate a contract for. The state should not have any say in how a person values their labor. These terms are between employer and employee. Abolishing the minimum wage will open up job possibilities for those that need them most. It is one step closer to a world where the state does not control every aspect of life. Individual sovereignty begins with being able to decide one’s worth.